Ethics in Schools: Developing children’s critical thinking skills for building a better society, how to get ethics classes started in a school and volunteering opportunities for parents and the wider community. Ethics classes are available in NSW public schools as an option for children who do not attend Special Religious Education (SRE) / Scripture. 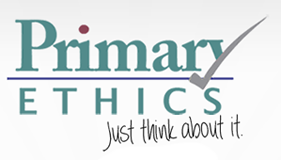 The NSW government has authorised Primary Ethics, a not-for profit organisation, to design curriculum and deliver ethics classes to children from kindergarten to year 6. Over 30000 students are participating in ethics classes in 388 schools thanks to the efforts of 1900 parent and community volunteers who organize or teach ethics classes around NSW. Maria McCarthy, Volunteering Manager for Northern NSW, will discuss the relevance of developing children’s critical thinking skills for building a better society, how to get ethics classes started in a school and volunteering opportunities for parents and the wider community. In Ethics classes children learn how to think logically, disagree respectfully and support their arguments with evidence, rather than act according to habit or peer pressure. • How should we treat living things? • How far does our moral responsibility extend?